VIRGIN – Virgin Town Mayor Bruce Densley said in January that he felt like the climate in Virgin had already started to improve after a June 2015 referendum prohibited an RV park from being built in the middle of town and a closely contested Town Council race, which was literally decided by the flip of a coin. However, Densley more recently said there is still some animosity, evident by a new referendum related to the RV park issue. The June 2015 referendum wasn’t about the RV park itself, Densley said, but about the rezoning of the land where the RV park was slated to be built. He said he has no idea what the owners are doing with the property and if they’ll still push to develop it. The developers put a lot of money into it and were thwarted by the referendum and some lawsuits, which were settled. The Virgin Town Council passed an RV park ordinance a few months ago, Densley said, which specifies the standards for RV parks and campgrounds. The town’s planning commission approved it, and the council approved it by a split vote with council members Jean Krause and Daniel Snyder dissenting. The passage of this new ordinance has prompted a new referendum, appropriately named “Here We Go Again” by a group who feels that the ordinance needs to specify exactly where an RV park could be built, Densley said. The ordinance does say that any future RV park must be built along state Route 9 and cannot be within a residential zone, but the sponsors of the recent referendum said there are still too many ambiguities. The development of the ordinance wasn’t anything sudden, Densley said, and they didn’t try to ramrod it through. It has gone through the right processes and took almost two years since the idea was hatched to get it passed. After trying to do the ordinance right, Densley said he is disappointed there is still some backlash, adding that the town needs to take advantage of all the tourists coming through and do it wisely. Densley said the sponsors of the referendum had the petition notarized before the ordinance even passed and turned in the petition with the requisite number of signatures the first week of September. Being a small town, Densley said, it is easier to get the requisite signatures – approximately 85 – to get it on the ballot. However, the group missed the deadline to get it on the November ballot, so it will be on the June ballot next year. The sponsors are different from the first petition, but the philosophy is the same, Densley said. With the referendum pressing, the ordinance is now in limbo. No RV parks or campgrounds can be developed until the referendum is settled. Real Estate Attorney Ben Ruesch of the firm Sanders Ruesch & Reeve in Hurricane said it is extraordinary to see back-to-back referendums such as the one in Virgin. Ruesch said he attributes the referendums to new people moving in that have more liberal views and don’t want anything to change. While property owners do have the right to use their property for their economic advantage, towns also have the right to make a general plan the property owners have to follow, Ruesch said. In the case of the developers of the potential RV park that was a victim of the first referendum, it would be difficult for them to prove that not developing the RV park would be a “severe economic impact” to have any legal recourse, Ruesch said. 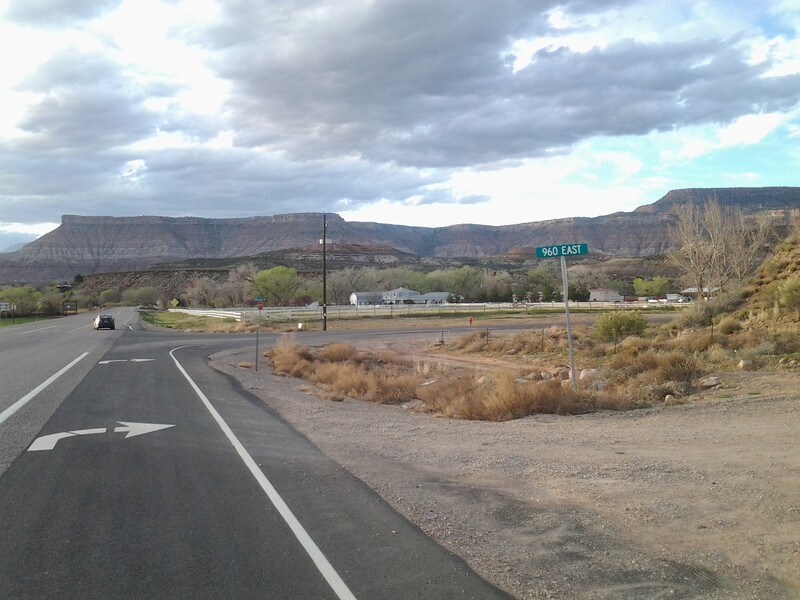 In response to a request for comment on several different points, the new referendum sponsors – Greg Istock, Monte Lutz, Steve Masefield, Steve Sampson and Bill Swensen – met and collaborated on a statement for St. George News. One of the things they said in their statement is they feel the climate in the town has not improved. The Virgin Town Council led by the mayor continues to choose to ignore the will of the majority of people who voted in the last referendum and the current Virgin General Plan. This continues to divide our town and the mayor seemingly has done nothing to establish a healing process. The sponsors stated that the first sticking point with the recent RV park ordinance is that it goes against the town’s general plan, which specifies a Highway Resort Zone on the eastern side of town. The referendum sponsors also said they feel that the ordinance is too vague in some places. They said specifications that any future RV park should be “sufficiently separated from established neighborhoods” and “minimize adverse visual light and noise impacts,” among others, were too ambiguous. The sponsors said they feel the RV park ordinance is a “run around” of the referendum in 2015. The sponsors said they did not have to rally support or provide any kind of message to get townspeople on board with the current referendum. The sponsors made it clear that they are not against RV parks, in general. As a case in point, the sponsors expressed support for the new hotel going in near the new turnoff point of the Kolob Terrace Road. When asked about their economic vision for the town in the next 5-10 years, they said they expect the town to grow and would support that growth. “We feel that this growth needs to be regulated so that it complies with the ordinances, and with the Virgin Town General Plan which is in the process of being updated,” they said. Virgin residents completed a survey in December 2015, and referendum sponsors state the results revealed similar sentiments to their own. Unfortunately, the sponsors said, the current Planning Commission has not yet acted on the results of that survey.